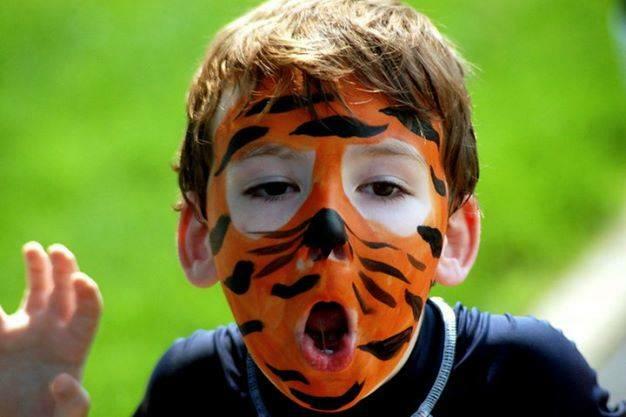 Add Face Painting for up to 20 children / hour to any party package Kids love to play pretend with their favorite face paint professionally applied by one of our Attendants. Hypoallergenic, non-toxic professional body paint used. PERFECT ADDITION TO ANY EVENT! All parties require a non-refundable deposit. If your party is canceled due to weather or emergencies your deposit can be used to schedule a new party within one year. Entertaining the Long Island Community for over 15 years. 2001 - 2012 Tack 'n' Go. All Rights Reserved.